Based on the site's locale, we should only include the rules that are relevant. In other words, this is attribute-based tree-shaking for the root element. It doesn't really make sense for all of these to be always served in the CSS. Note that amp-bind'ed [lang] is not allowed, so there is not the concern that they will become relevant later: the language won't be changed at runtime. The changes in this PR reduce the resulting CSS size from 33,129 bytes down to 27,741 bytes on an example page in English, a 16% reduction. 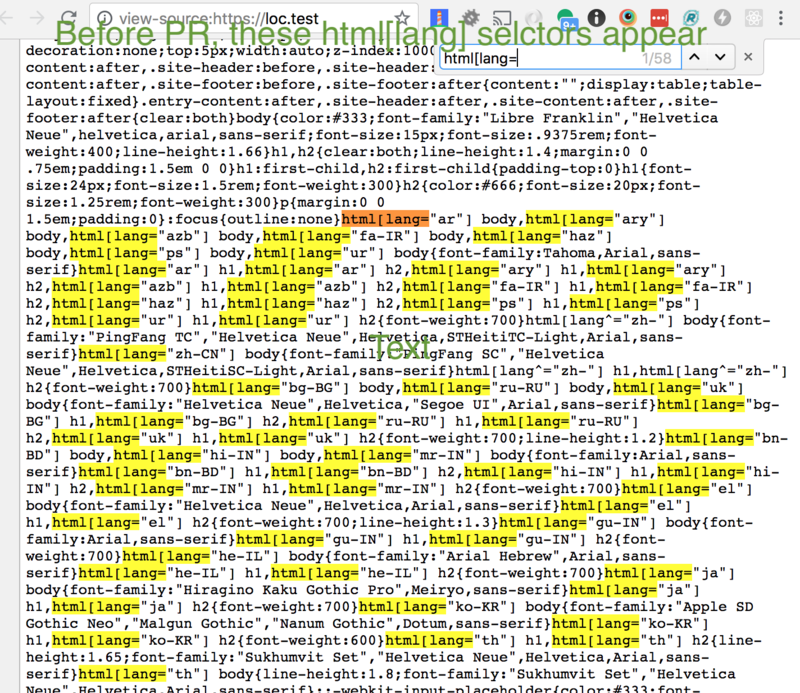 Good idea to remove all of these html[lang] rules. I didn't know there were so many.